The UNAVCO Faculty-in-Residence summer program is a new initiative designed to involve a college/university faculty member in UNAVCO education and outreach endeavors. 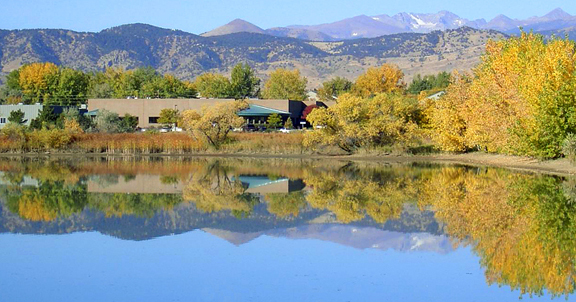 The successful candidate will be an energetic, active member of the UNAVCO community who teaches introductory/general education college geoscience courses. This individual will work at UNAVCO headquarters in Boulder, CO for one week in June 2006. Work independently and with UNAVCO education and outreach staff to develop classroom materials for introductory/general education geoscience courses. Test the classroom materials in his/her classroom during the 2006-2007 school year. Share his/her GPS and plate tectonics content knowledge with two middle/high school teachers who will also be working at UNAVCO headquarters in June. Interact with UNAVCO in the future to disseminate the classroom materials. Housing, transportation, and a stipend are available. Application materials must be received by April 17, 2006. For inquiries about the program, please contact Becca Walker, UNAVCO education specialist (rwalker unavco.org). Funded in part by a grant from the National Science Foundation.